Kate TaylorStarbucks’ Christmas Tree Frappuccino. The drink will be on the menu for only four days, ending Monday. Like the Zombie and Unicorn Frappuccinos before it, the green whipped-cream-topped drink is Instagram-ready and will be on the menu for only a few days. This drink, however, breaks from Unicorn Frappuccino tradition in one crucial way: It actually tastes good. 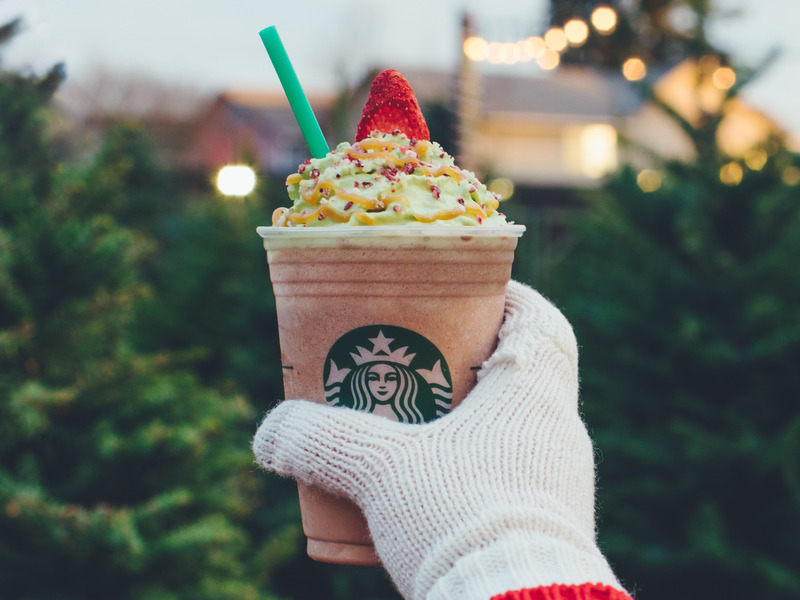 The Christmas Tree Frappuccino will be available at Starbucks from Thursday through Monday. 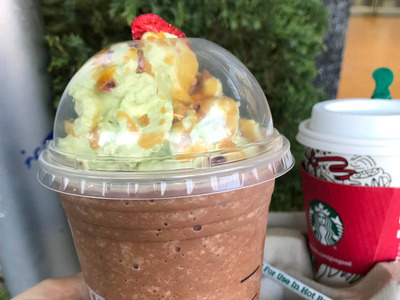 A taste test of the festive Frappuccino reveals something surprising: It’s actually worth seeking out the drink during its short time on the menu. It helps that the Frappuccino itself is a tried-and-true favourite instead of a random combination of bright colours and sugar. The base is a Peppermint Mocha Creme Frappuccino, one of the better Frappuccinos on the menu, and it artfully balances sweet, minty, and mocha flavours. The “Christmas Tree” elements of the Frappuccino come into play with the green Matcha whipped cream. Matcha is trendy, but it actually works pretty well as a mellow balance to the rich mocha Frappuccino. The whipped cream is topped with caramel drizzle, candied cranberries, and a dried strawberry “tree topper.” While the add-ons are somewhat superfluous, the unfortunately necessary Instagram bait doesn’t detract from the flavour of the drink. In April, Starbucks had a whirlwind success with the Unicorn Frappuccino, a sweet, colour-changing drink that quickly went viral on Instagram. Follow-up drinks, such as the Zombie Frappuccino, have also sold out quickly in stores. But with the Christmas Tree Frappuccino, Starbucks may have finally found the holy grail: a festive, Instagram-worthy drink that still tastes good.